In case you’re wondering “why doesn’t this concept look like the Motorola Shamu?”, well it appears the designer made this Motorola Nexus 6 before the leak. Teshan Nanayakkara is the creator of the smartphone and he keeps the rounded top and bottom that are typical to a Nexus unit. This model reminds me of a Nexus 4 and I can see there’s a dual LED flash placed at the back, together with a dimple with the Motorola logo on it. 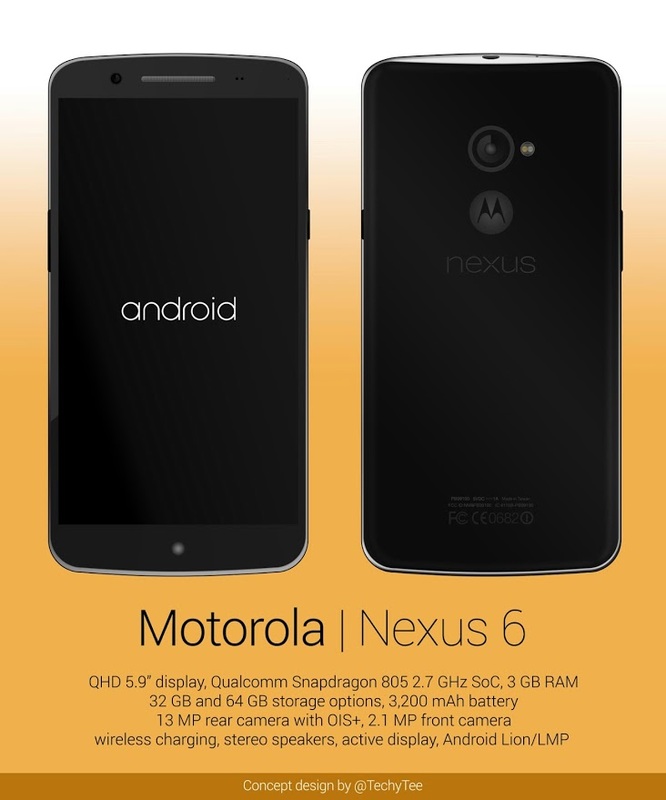 Motorola Nexus 6 integrates a Quad HD 5.9 inch display, as officially rumored and it also adopts a Qualcomm Snapdragon 805 2.7 GHz processor, 3 GB of RAM and 32 or 64 GB of storage. There’s a 3200 mAh battery inside, a 13 megapixel camera at the back with OIS+ and a front 2.1 MP shooter.